With a novelist's skill and a poet's eye, Graves draws on the entire canon of ancient literature, bringing together all the elements of every myth into one epic and unforgettable story. Ideal for the first-time reader, it is equally valuable for anyone seeking an authoritative and detailed account of the gods, heroes and extraordinary events that provide the bedrock of Western literature. The result is a classic among classics, a treasure trove of extraordinary tales and a masterful work of literature in its own right. Robert von Ranke Graves (24 July 1895 – 7 December 1985) was an English poet and novelist, scholar, translator and writer of antiquity, specialising in Classical Greece and Rome. During his long life he produced more than 140 works. 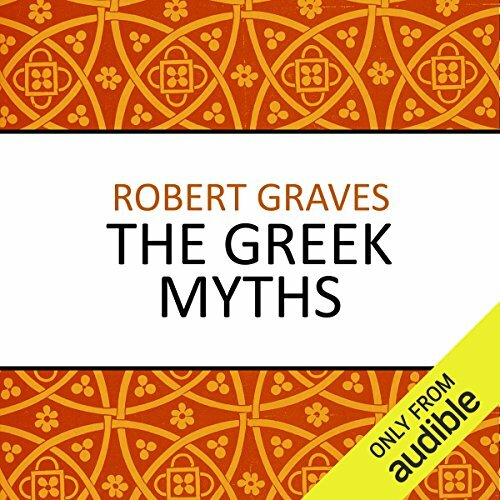 Graves's translations and innovative analysis and interpretations of the Greek myths, the memoir of his early life, Good-bye to all That, and his speculative study of poetic inspiration, The White Goddess, have never been out of print. Graves earned his living by writing popular historical novels, including I, Claudius (for which he was awarded the James Tait Black Memorial Prize), King Jesus, The Golden Fleece and Count Belisarius. He was elected Professor of Poetry at Oxford in 1961 and made an honorary fellow of St John’s College, Oxford, in 1971.